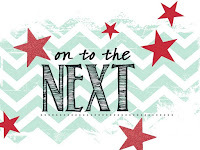 Just Julie B's Stampin' Space: Spring Flowers with Creation Station! Spring Flowers with Creation Station! 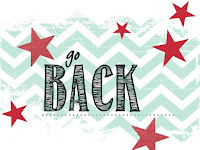 Welcome to my Stampin' Space, and to the Blog Hop for Creation Station for April! 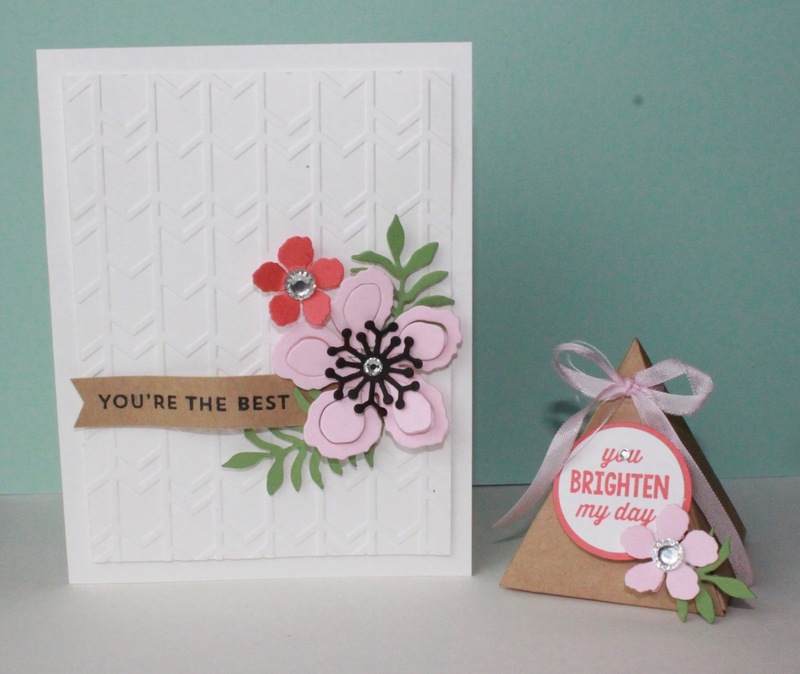 We're stamping some Spring Flowers, and using the Botanical Gardens Suite! So I decided to use the Botanical Builders Framelits - because I love that there are so many pieces, and choices of flowers in this set! The colors in the Designer Series Papers are pretty, and beautifully tropical - but to me, they are not very Spring-like (at least for California standards)! So I decided to go for a clean look, and to use the Subtles Collection for a different look! I made a simple card and a Pyramid Box, using the Pyramid Pals Thinlits! On the card, I used white on white for the base. 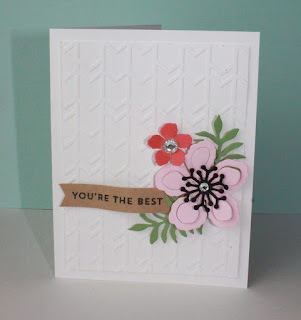 And for some texture, I used the Arrows Embossing Folder on one layer! Pink Pirouette, Calypso Coral and Wild Wasabi were my color palate. And the Sunburst Sayings set was used for the greetings! I have made a few of these pyramid boxes lately - and was kind of surprised at how little they are (I love little tho!). So, in creating this version, I added the smaller Botanical Builders flower to make the fit look more appropriate. And then I also wanted the bow to fit right too, but I wanted the Pink Pirouette Seam Binding, so that it would coordinate with the flower. It felt too wide, so I decided to give it a trim! I used the Rotary attachment on the Stampin' Trimmer to 'split' the Seam Binding in half! It got a little frayed look, but I love the look! 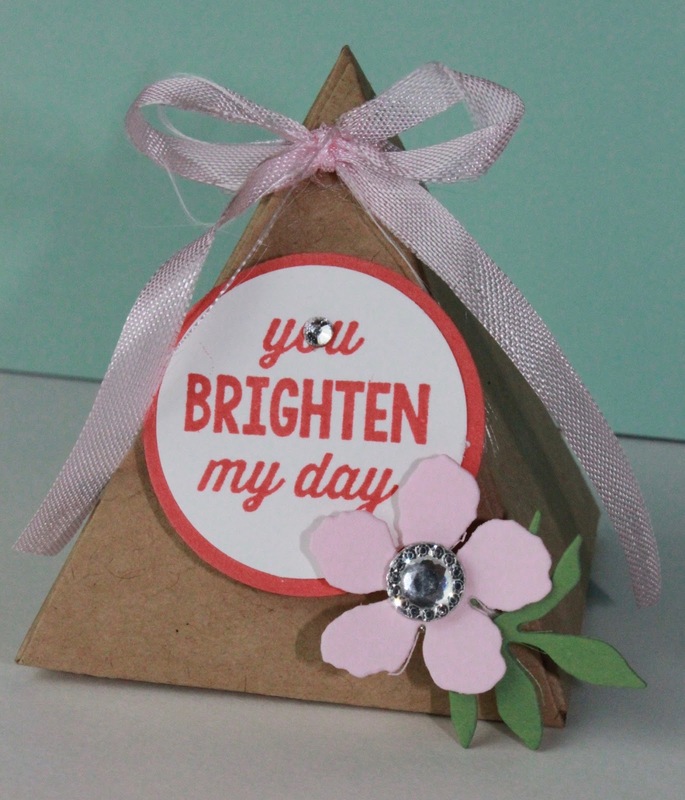 And, of course, a perfect match with the Pink Pirouette flower! I love this set! Great job!! These are great projects Julie. Love that little triangle box and how you embellished it. Fabulous card and I just LOVE the pyramid box that you did to match. I've played with this set, but haven't touched the box yet? I don't know why? I'll have to start. I guess I just haven't had a reason too. I'd better start soon or the trick or treaters wont have any thing for their treats. I have to make about 500 treat bags, boxes, what ever I'm making. So I need to start now. Sorry! I really your card and box. They looked so nice together. Thank you for sharing! What a pretty use of the pie amid box! Love the soft look of your card too! Pretty creations Julia! 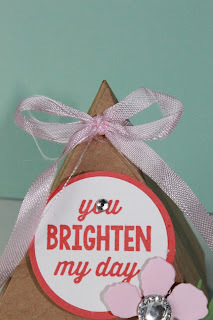 Farmer's Market Easel Card Gift Set! Star Scrapbook with Matching Card! Quick & Easy Party Treat Mini Bags! Faux Leather Flower Pin Gift Set! Botanicals Card Set & Gift Box! Floral Favor Cup & Gift Set!